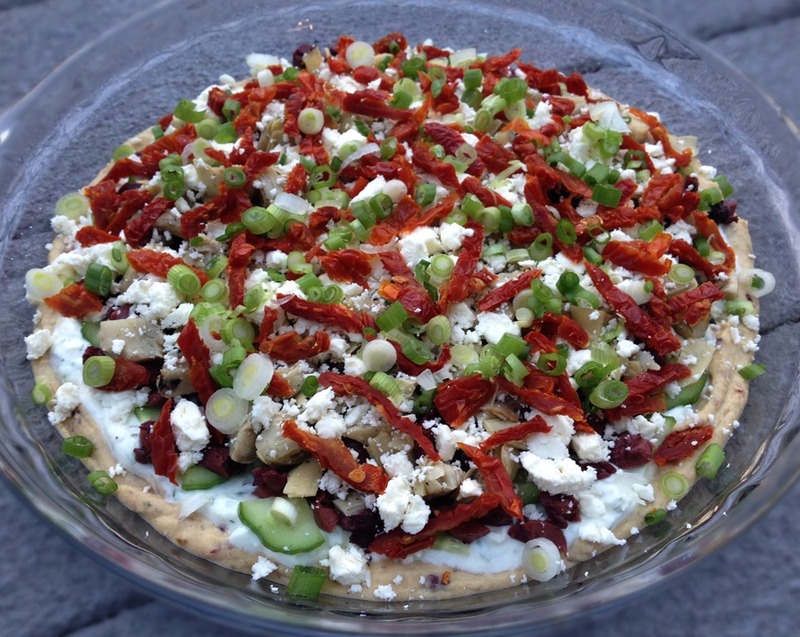 Seven Layer Dip gets a fresh summertime make-over. 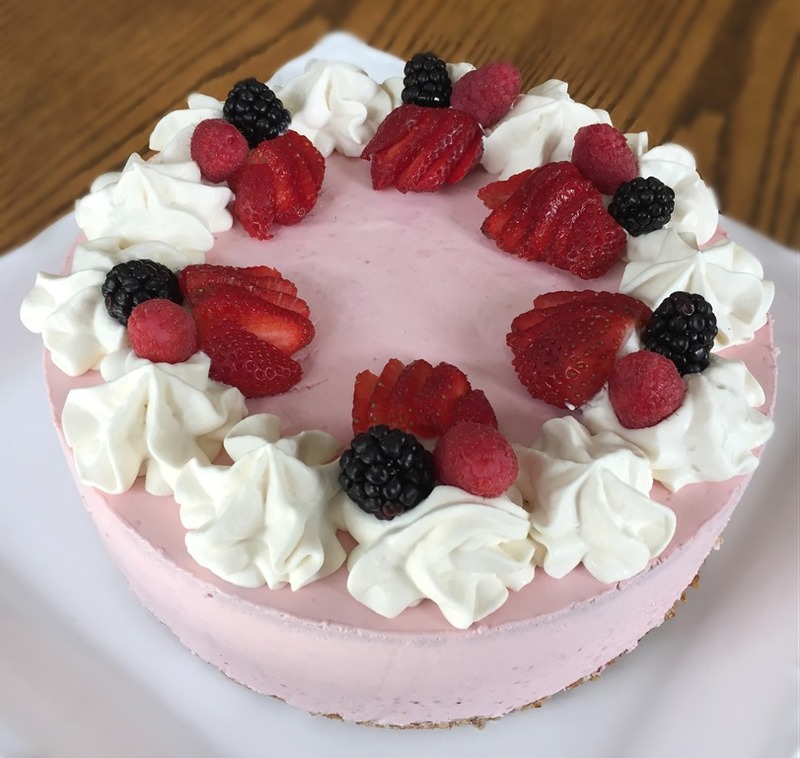 Or make it with eight layers (pictured above) if you want to really get fancy. This is a great way to dress up plain hummus. 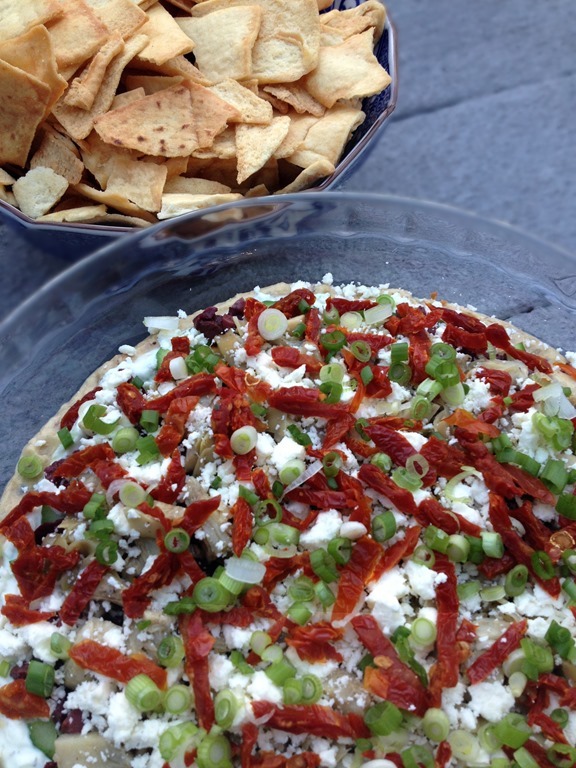 Similar to the traditional Mexican 7-Layer Dip, but lighter and with fresher ingredients. With the huge variety of hummus available these days, you can adapt this recipe to suit your taste. My favorite hummus (after homemade) is the Supremely Spicy Hummus: it has a real kick! 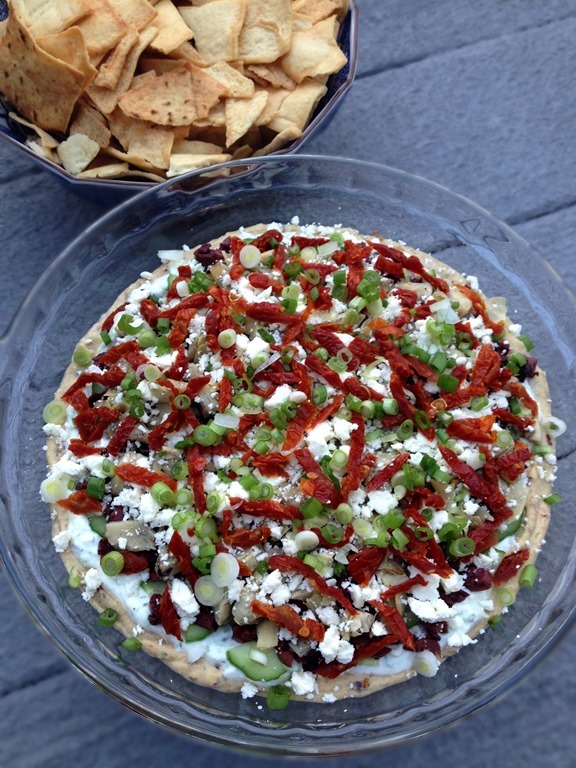 Serve with pita chips, crackers, fresh-cut vegetables, or wedges of homemade Pita Bread. Beets are a controversial vegetable in our house. Until recently we were split pretty evenly between beet lovers and beet haters. 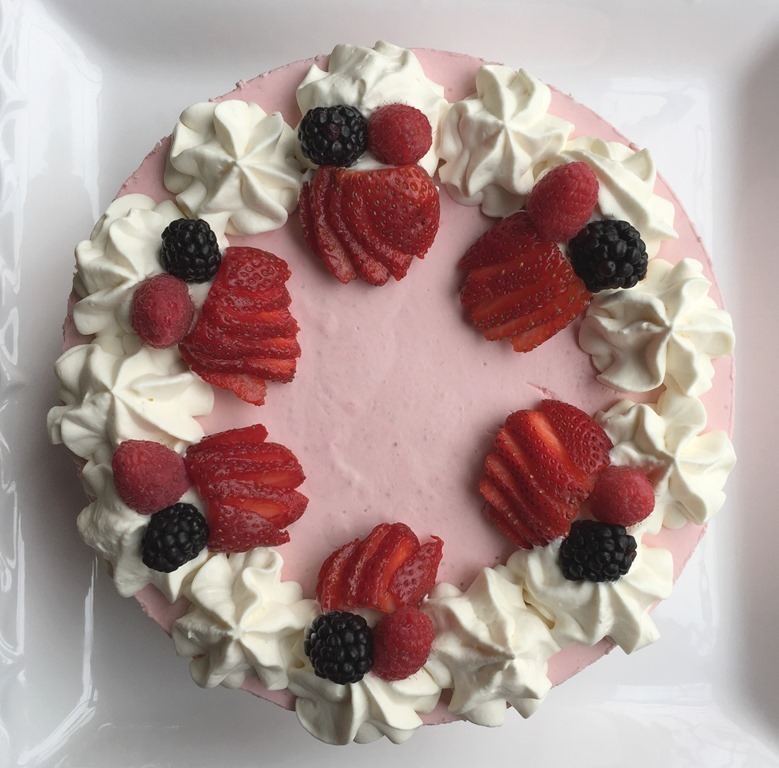 This recipe, however, has made some converts to the beet-loving camp. 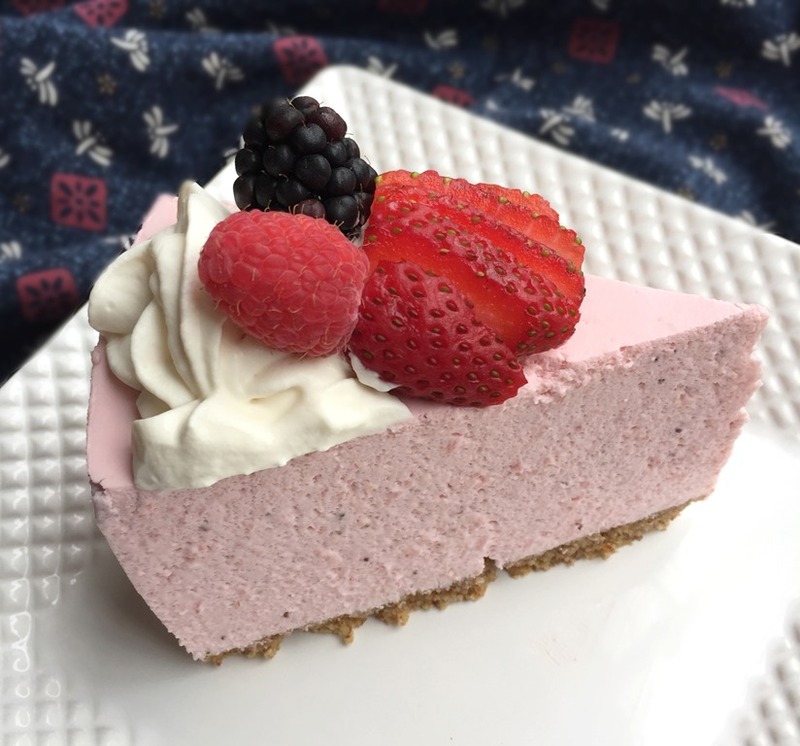 There are still 2 hold-outs, but that may be due more to stubbornness than actual taste preferences. One child hardly put enough in her mouth to actually taste it before declaring it gross. Beets are one vegetable that grew really well in my garden this year. I had to fight the deer for the beet greens, but even without their tops, the beets grew undisturbed by the menagerie of wildlife in my backyard these days. I love how prominent the stripes are in the raw beets! Roasted fresh beets are a whole different animal than those sweet canned things. Add some garlic and rosemary and I think they are divine. 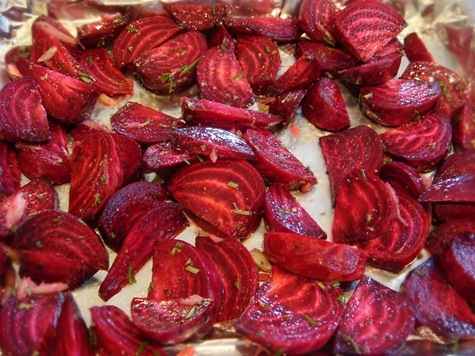 The cooked beets, unfortunately, don’t look as brilliantly beautiful as the raw ones, but they sure taste great! 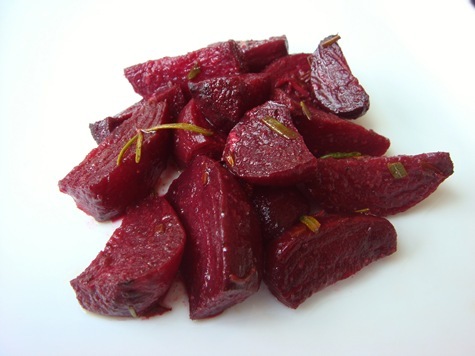 Cut beets into wedges (each beet should make 8 wedges). 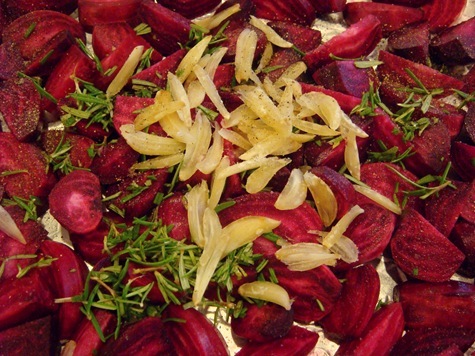 In a large bowl, stir together beet wedges, minced rosemary, sliced garlic and olive oil. Grind in some fresh salt and pepper and toss to coat. Place in a shallow baking dish and cover with foil. Bake in preheated oven for 30 minutes. Uncover and bake for another 15-20 minutes, or until beets are tender. Remove from oven and let stand for a few minutes before serving. Taste; add additional salt and pepper, if necessary.